So, this could really be one of the first online contest am participating in.. I found it really cool, and hope I win too. SO, here is my entry for the contest. What I wanna read at the Tech Boing..?? Something about the freakiest gadgets..
Something about protecting the PC from phising etc..
And continue with the reviews about the cell phones.. Boy! Have Tech Boing got a contest for you! The contest has 2 prizes, one for a blogger and one for a guy that doesn’t have a blog. Prizes : iPod Touch (16 GB) for bloggers and an iPod Touch (8 GB) for those without a blog. Step 2. Make a post on your blog where you talk about this contest and tell us what would you like to read on a tech blog. Don’t forget to link us on homepage and to send a trackback to this article. Step 3 (only for those without a blog) : Make as many comments as you can (spammers will be disqualified)! The contest starts now, on 11 April 2009, and ends on 11 May 2009. The blog you are reading right now has now got a PR2 Google rank. 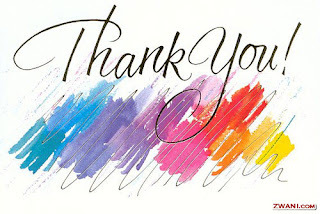 who has come everyday and checked out the blog. And sticked to it despite the laziness of author to post frequently. What answers are the questions..
Then Why I chose that as the title of the post.. I want really bad to make a blog entry.. But really can't focus my mind on something..
Would just tell you about some of today's happenings..
My exams are nearer than I can think..
And I just don't feel like to study.. I think the best option is I should go and listen to some good music..
ALL THE BEST TO ME...!!! 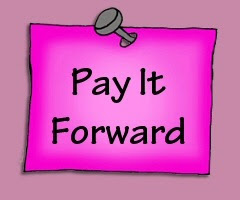 I’m sure you have heard about the blog Pay It Forward movement by now. I have seen it on several blogs I frequent, but I have always been a day late and a dollar short (story of my life). Kimberly from THE MAD WHITE WOMAN reminded me about it with her Pay It Forward post. In case you do not know what the whole Pay It Forward movement is, a little background information for you. Quite a few people believe that it started with the movie, Pay It Forward. However, this concept dates back to 1784 when Benjamin Franklin wrote a letter to Benjamin Webb and instructed him to repay him by giving the same amount to another individual he met who was in distress as well to help that person out. The blogosphere Pay It Forward has a slightly different spin to it. The first three people who leave a comment on this post will receive a gift from me some time during this year. When and what will be a surprise to the winners! How cool is that? That’s it! Told you it was painless! You can either make something or buy something for your contest entrants and send it to them anytime before December 31, 2009. So what are you waiting for? Go already! The first few matches of the IPL II were not so competitive and were one-sided. But now the level of game has reached to its due heights and the games are going on to wire. take yesterday's match Chennai Super Kings Vs Delhi Daredevils.. It was one of the closest match yet, with anyone's game until last over..
Enters Kolkata Knight Riders Vs Rajasthan Royals.. It was decided by a super over. IPL II is finally matching standards set by IPL I. Can't get a word to describe this post. So, that's the reason for the Post Title. Right Now, am feeling quite confused, complexed, and what not..? Doing nothiing infact, not even talking to friends.. I am passing through one of those periods where your mood is OFF, but you don't kknow WHY..?? It seems I need a Time off. And it seems, On the weekend, I am going to have a 24 hour sleep. This award will be presented to the blogger who demonstrates the best writing ability on his or her blog. I would like to wish you luck for the IPL - II. 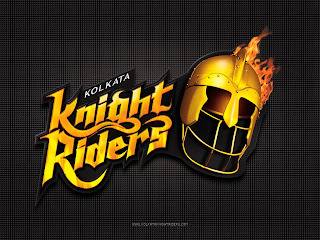 May KNIGHT RIDERS blast away all the teams in your way to the top. Why I am writing this letter to you. Sir, Recently you or I should saay your team changed the skipper. I am not complaining, Why Ganguly was replaced. I know he is your 'MAIN MAN'. And their must be some strategy behind it. What i wanna say is Why Macullum was decided to be the man after the 'MAIN MAN'?? MR. VIJAY MALLYA, do changed the skipper but there was something behind it. Jaque Kallis has been declared as the person to handle the affairs once MR. Peiterson goes..
Now, is it because he was the costliest person in the last season, (in terms of Rs per run scored) or he is a SOUTH AFRICAN..?? SRK sir, What I can't understand is Why India's best captain ever was replaced..?? Why the best performer for KKR, last season replaced..?? Why the person who made the most memorable comeback in that very Rainbow nation was replaced..?? And replaced by a person who is not even a south african..?? Who don't have a bigger fan base than Sourav Ganguly..?? Who aparrt from scoring a blazing 100 last season did not account to too much..?? I am eagerly awaiting for it..
Forgive me if I said something wrong. I am just a true fan of your team, and just want it to see win the IPL II. I know, there are many expert sitting over there..
And they must have thought something.. It's just what i felt..
We have a right to say..!!! But, Please let me along with every other KKR fan know about it..
when I had logged heads with GOD..!!! I once told you about the society that I along with my bunch of friends wants to create in the college. But till now it has not come into existence.. But finally everything was sorted out..
society to our Director as to get her approval. and sometimes she is busy. Sometimes she gives the time but not be able to turn up or something or something. So it was happening for some time now. And today I was like" I had to give it today...". Today GOD is with me and we would give it today. firstly, our teacher coordinator was absent. After that, when we some how arranged the projector, the wireless keyboard refused to work. Okey, we arranged another keyboard. And thus ruining our whole plans. God, you won again today.. I never want to disrespect you, and if by chance had done this then am extremely SORRY..
i would make the society...!!! I don't know what happened today?? Was it something in college..?? Or something said by someone..?? when I reach home today.. I was like feeling lost. So, the first thing I did was to message my friends about it..And asked for their HELP.. It was horrible for me..
which are like the most important things for me. But here came my friends at my rescue.. But what happens is, what I want.. So, you do what I want.. It took me some time understanding it, but it was really helpful. Some told me about How life works..?? Its all about facing ups and downs in life. Its part of life. Don't be scared and don't lose hope. Be determined, and have patience. Remember facing difficulties results in success. Or some by suggesting to hear a song, and everything would be alright.. So, all this was really overwhelming and refilled me with Hope..
A monster sucking happiness or some weird person taking over me..?? Its over, me along with my friends have taken over it. I recently came across a wonderful blog on economic strategies. The content is original and valuable. And yes, looks really wonderful. The biggest cricketing carnival is here.. The DLF IPL is here..
And it is believed to be better, bigger and more rocking than last year..
Where are the king's men..?? Where is the KOLKATA KNIGHT RIDERS..?? They just seem to be missing of it. Everything, they can really claim the copyrights of all this..!! But this year they seem to be missing..
From occasional controversies, we have seen nothing of the KKR this year.. There is no promotional campaigning going on..
No music videos on the air.. Recently, I cam across this beautiful article..
And it gave me this "easy" question to wonder about..
Today, many people suffer from this disease of thinking that 'they are not worthy or capable etc etc'. And this is the reason they don't get to know their true worth and because of this only Life don't looks to them beautiful. How you know that are you capable of doing this or not till you don't try it yourselves..?? So, I just one thing to everyone.. But still GO AND TRY.. Try before you even can't try..
A: No one deserves to be voted, so I will not Vote.. They don't want to vote, because they don't think any of the candidate don't deserve their worthy vote. Our constitution provides us with a solution to this. You go to voting office. Do all the formalities, and then say to the election officer present their that you don't want to vote for any of the candidate. So your vote would be registered and you can proudly say ' I VOTED'. And even you have stood upon your principles for not voting for an undeserving person. Now, such a novel concept. Such a nice provision in our constitution, but no political party advertise this. Because they worry, they would not get our vote or worse, their candidate would get black listed.. So guys, for the LOK SABHA elections 2009, Go and VOTE..
And if you don't consider any worthy candidate then exercise your vote to 49-0. B: This time, no one deserves to be voted, then why are you voting ?? I grabbed this from the blog 'www.lifemarriageandkids.com '. So here are my 100 truths..
005. Male or female → Male. 014. Phone or Camera → Phone to SMS, and that only for taking the pics..
030. First big birthday → My 1st B'day..
060. Careers in mind → Theater, Engineer, A self-made Tycoon!!! WHICH IS BETTER IN THE BOY/GIRL YOU LIKE? 070. Shorter or taller - Taller. 073. Nice stomach or nice arms → Nice arms. 074. Sensitive or loud→ Sensitive. 075. Hook-up or relationship → Relationship. 081. Ran away from home → nope, but would be fun..
087. Cried when someone died → Yes. It was fun answering 100 questions about me..!!! And they would end on 25th of May. I am not going to vanish completely but just the frequency of my post would drop significantly as you have seen lately. Even right now, I have so many stories to tell you. I am really sorry for this. But promise you to make up for all these, once I return. All India Engineering/Architecture Entrance Examination (AIEEE ) 2009 for admission to Engineering and Architecture programmes at the undergraduate level in the country is being conducted by CBSE. The exam date for All India Engineering Entrance Examination had been announced by CBSE i.e. 26th April 2009. It is 'THE' exam for a great percentage of the engineering colleges in INDIA. The best colleges in AIEEE are the NITs. And a student getting admission in one of them generally ends up as a good Engineer.